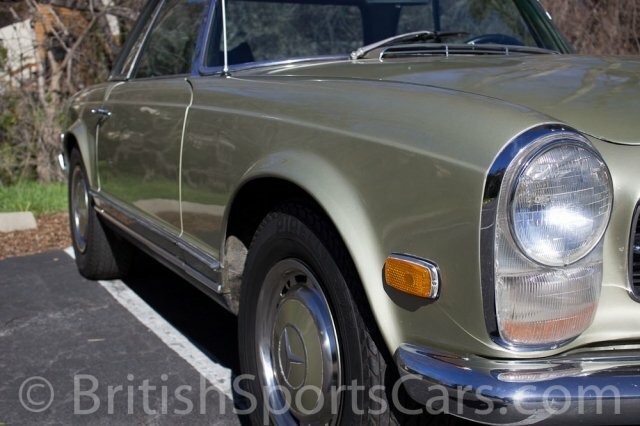 You are looking at a Mercedes Benz 280 SL that has been a local car for many years. The vehicle does need some TLC, but will make a great car for someone. In recent years, these cars have become very valuable, and to see a car in this price range is very unusual. They are either over-restored or in need of a full restoration. The car has an assigned VIN of WA78105550. The paint looks okay, but on close inspection needs work. The car runs great but could use a new exhaust system. Please feel free to contact us with any questions you have.